Despite strong financial support from the U.S. Department of Energy and increasing utility interest, smart grid remains a blurry concept among electricity consumers. That it could transform how we use energy and usher in an era where the term “peak load” — its nemesis — is relegated to similar obscurity. The smart grid overlays advanced information technologies on the electrical grid, allowing consumers to use energy in ways or at times that avoids drawing power at peak-load times and decreases use overall. One example is a yearlong demonstration project by the Pacific Northwest National Laboratory on the Olympic Peninsula. Touted as one of the best smart grid projects in the country, the lab used automated thermostat controls and computer chips in clothes dryers and water heaters to respond to real-time pricing signals received from the electrical grid. The 112 participants included in the study were able to set their preferred-use settings — from the most energy saving to the least — on an Internet portal. Peter Christensen spoke recently at the Society of Environmental Journalists’ annual conference about the lab’s project and electric grid management. Christensen manages the energy portfolio at the Pacific Northwest National Laboratory, which is a Department of Energy research lab. His previous experience includes strategic planning for intellectual property management and work as a patent attorney and as a consultant on electric power markets for large industrial users. Miller-McCune caught up with Christensen after the conference to explore the concept and what it might mean to consumers, utilities and appliance manufacturers. Miller-McCune: Could you briefly describe the lab’s findings in the Olympic Peninsula project? Peter Christensen: The premise was to evaluate the ability for a customer to respond to a real-time pricing signal. Part of the program was also to test some technologies that we had developed that allow that to happen. One was the technology in the appliances themselves that could respond to the real-time pricing signal but also the algorithm system that was set up on a software basis to operate this system. Obviously there were many published results. The primary results were that on average, over the one-year program, customers saved about 10 percent of their electrical bill, which raises the issue, is that enough to incentivize customers to do that? That can be yes or no. By far the biggest impact was finding we were able to reduce peak demand by up to 15 percent during the highest peak times, and for a utility system, that’s an enormous impact. M-M: That would seem to be a real boon to utilities. Why aren’t we hearing more about this? PC: In our industry, there is a lot of talk about it. ... Demand response and smart grid is getting a lot of discussion among regulators and legislators, too. The word is out. I think the reasons why it hasn’t gotten so much attention in the popular press is it’s rather difficult to explain. People’s eyes start glazing over when you talk about how their dryer is responding in a demand-response system. The Department of Energy followed up [earlier support] with a $650 million program funded through stimulus funds to have 16 large-scale smart grid demo programs around the country. We are participating in two programs — one in Columbus, Ohio, and another in the Northwest. M-M: Could you tell our readers what demand response means? PC: Demand response is using some sort of technology that will automatically reduce the amount of load on specific appliances in response to certain signals, either because the grid is stressed or because the price has gone up. It’s basically a means for reducing demand on an electric system automatically in times of high prices or great stress on the grid. Demand response is one component of smart grid. The DOE has seven different classes of technology that they lump together as smart grid. Not all of it is on the consumer side. Some of it is using new communications and IT for managing it from the utility side. M-M: Since utilities earn money on a guarantee of fixed assets and utilities build for peak power, could smart grid be a disincentive for utilities? PC: You could argue that both ways. There are different ideas around demand response. Frankly, I think a lot of utilities would welcome a reduction in their peak demand — not so much because they’re worried about their rate of return against their fixed assets, but because it’s so difficult to add capacity these days. If they do have a big increase in their demand — let’s say electric vehicles start taking off in their area — it’s far, far easier to have that peak levelized and manage the peak than it is to try to fight [for] a new power plant or new transmission line. That is extremely difficult and time consuming. They face risks with that, too. Utilities have not always been successful in recovering those kind of large investments. The reason they are being slow to adopt it is primarily because it’s a relatively new kind of paradigm — new meters, a new kind of relationship with their customer. It’s new to them, and it’s new to the regulators. Utilities are 100 percent regulated in most jurisdictions. You have to look at both regulators and utilities when it comes to why things aren’t happening. M-M: Xcel Energy’s pilot project in Boulder, Colo., has run into cost overruns reportedly because of the cost of fiber optic cable, and there have been rate increases. Do you see problems like this emerging widely? PC: I can’t really comment on that. I’m unfamiliar with what’s going on with Xcel. I’ve heard no other reports of large cost overruns with these smart grid programs, but they’re early on in their deployment. There is cost to it. Right now the cost is being born by DOE in most of these programs. I think in almost all cases, the utilities and states are also asked to pony up some money. M-M: Other programs in California have used time-of-use programs. How do these programs compare to the PNNL project? PC: There’s a lot of that around the country, especially in California. It’s basically a very crude approach to demand response where you have a broad period of time when rates change. You’re asking the end-user, without automated equipment like we are using, to respond to that knowledge — say, that the rates are going to be lower at night — so they are incentivized to install timers or wait until after the time period to run their dishwasher. It’s the same approach but a much, much cruder way of doing it. That’s why there was so much interest in what we found in the Olympic Peninsula demonstration. We got a much better response when it’s automated and the end-user doesn’t have to worry about it. That basically proved the point that — there’s a term for it — it’s consumer fatigue. After a while, people get tired of having to think about it. That was one of the big findings of that study. M-M: You spoke at the conference about there coming a time when our clothes dryers will actually be interfacing directly with the electrical grid. I’m wondering how a dryer might “bid” for power. How would it know that power would be less expensive, for example, in an hour? PC: Actually, it can. We are looking at some things that are predictive models. The price of power cycles, but that cycle is pretty consistent from day to day. We know the utility is going to peak at 5 p.m. We know it’s going to have a lull at 2 in the morning. We are looking at some modifications to our algorithm that would be predictive, but that’s not a key part of our program. The dryer does nothing more than say I need so many kilowatts because I want to run. There’s an algorithm that’s in the system that looks at the price of power on a relative scale and there’s a factor in the algorithm. It’s a surprisingly sophisticated algorithm that determines when that dryer is going to respond. In the demand response that we did with the clothes dryer, it only interrupted if it was running. It turned off the heating element for five minutes. After five minutes, it will turn back on. So if you set the dryer for 45 minutes, it will take 50 minutes to dry your clothes if it responded during the time you had it on. That is one of the counterintuitive results of the study. [People say,] “You mean, just by turning the dryer off for five minutes it had that big an impact?” That was one of the surprising results — even doing something very subtle that was almost transparent to the end user we were able to get significant results. M-M: There have been some privacy concerns related to use of the Internet for smart grid connections in residential homes. Do you see this as a major problem? PC: One of the criteria for the smart grid demonstration programs from DOE when they sent out their request for bids was that you had to submit a cybersecurity plan to address that very issue. None of the programs got accepted unless they had a detailed cybersecurity plan. There are a number of groups that are working on standards for cybersecurity for smart grid devices. We’re probably still in the VHS-beta stage where there are different approaches, and what protocol is going to win is uncertain. It’s being addressed in parallel. 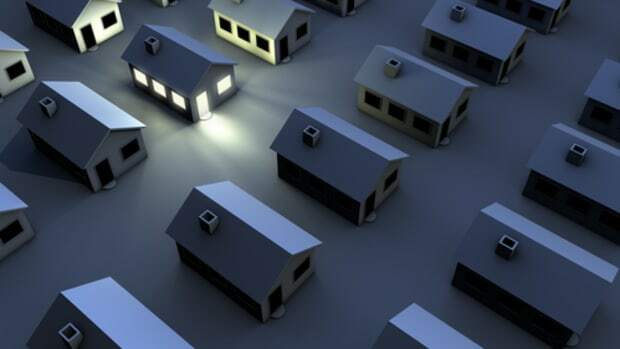 M-M: If consumers are only likely to see a 10 percent decrease in their electrical bill, and there’s basically no incentive for appliance manufacturers, why would these sectors be interested in smart grid? PC: That’s one of the big debates among the smart grid people: What level of incentive is required for someone to drive down to Home Depot and buy one of these things for their house? Or pay extra for a dryer that has that feature? I certainly don’t have the answer, and I’m not sure anyone does. That’s why I’m advocating getting all the stakeholders — the utilities, regulators, legislators, consumer advocates — together to basically work out a system where those benefits are equally shared. There is a consensus in the industry that the bulk of the benefits of smart grid accrue to the utility. I don’t know if anybody could argue that. And if that’s the case, how do we make sure those benefits are shared by everybody, including the manufacturers? They’ve got to be incentivized, too, to spend that extra $5 to put that functionality in their appliances. We have to come up with a system either through rebates or mandates or standards. We have a standard with Energy Star appliances. It could be that to get that rating, an Energy Star appliance would have to include that smart grid technology. That’s one way of getting there. The appliance manufacturers have been very supportive and they’ve been more than happy to participate in these different experiments because they want to be ahead of the game. 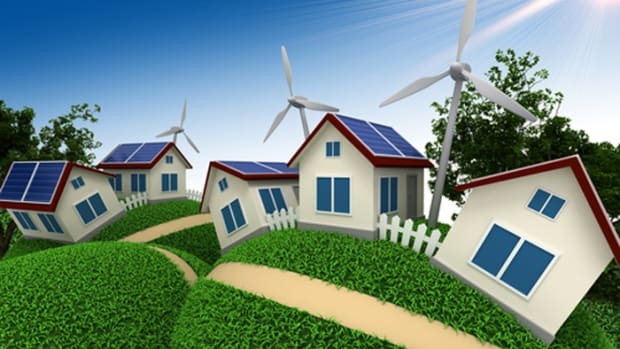 There’s a marketing value to being the first smart grid green appliance out there. But they’re not going to do anything in a major way until there’s some certainty that what they use is going to be used widespread. The most common approach is having all the intelligence reside in a specific device. Basically, the dryer, for example, would have an input rather than having all the intelligence. M-M: What sort of device would hold the intelligence? PC: It would be in some device in your home. It could be part of your thermostat on the wall with a screen that you could use to control all the appliances in your house. There are also companies looking at putting out widgets that go, say, on your television. You turn on your TV, press a button on your remote and up pops a window on the lower left-hand corner that has all your energy management settings on it. You could control it from there, and all the intelligence resides within your TV. There’s a company doing that. Or it could be something that runs on the computer. There are lots of people looking at doing apps on your iPhone. You could actually control your washing machine through your iPhone remotely if you wanted to. Everybody and their grandmother has a different idea about how to do it, and the market will determine who wins. The way it’s heading is probably some sort of device similar to a thermostat. And there will have to be some sort of portal to provide communication back to the utility. M-M: If you could envision a regulatory and incentive system to support smart grid, what would it be? PC: I’m hesitating a little because every state has its own regulatory structure. In the West, generally, most of them are pretty traditional. On the East Coast many states — Pennsylvania, New England [states] — have more of a restructured approach to electric energy. They vary tremendously, depending on the jurisdiction. But in a traditional market like we have out West — basically a vertically integrated utility — what I would envision is some sort of tariff that the regulators establish with utilities that provides for that pricing signal to be sent and received by the device so it could respond appropriately, with some sort of reportable savings that would be returned to the consumer that’s more than just what they save on their kilowatt hours. In other words, the more they participate the greater the benefit. The benefit to the utility is in that reduced demand. It’s not just in the kilowatt hours saved. You could argue there’s not any kilowatt hours saved. You’re just shifting the load. You’re not running your dishwasher less; you’re just running it at a different time. You’re saving the utility money by operating at a lower cost time. So there would have to be some part of the tariff that would reflect that and there would be enough of the sharing of the benefits such that it provides those proper incentives for most customers to participate. I guarantee that no matter how wonderful we make this system and how much incentive there is to the end user, there will always be people who don’t want to play. But it doesn’t take everybody. M-M: Will smart grid help with distributed electricity generation such as residential rooftop photovoltaic solar cells? PC: It can help to some degree with respect to peak loading because it’s putting generation next to load so it reduces transmission requirements, although you still have that intermittency [with solar and wind]. If you have a demand response system in place it can facilitate intermittent generation better because when there is excess generation from those intermittent sources, you would be using your appliances to the fullest. Then when a cloud passes over your solar panel or the wind stops blowing, the demand response system can respond instantly to that — shut off your dryer, turn off the water heater for a while until the cloud passes. It allows your demand to contribute to balancing [the intermittency] rather than relying on the grid to do that. M-M: You noted at the conference that utilities are generally conservative by nature. Do you think results from demonstration projects like PNNL’s are likely to motivate them to get going with smart grid? PC: I think they will adopt it — even happily adopt it, for a number of reasons, including that it’s a better way to accommodate electric vehicles. They’re going to see having electric vehicles on the grid is a good thing. … If the regulators and the utilities are in the same room and they say yes, this is good —which I think they already are doing — then it’s going to happen. But it absolutely can’t happen by each party doing it by themselves. It’s got to be everybody rowing in the same direction, all the oars in the water at the same time. The way the utility-regulatory system is set up is so complex that no one party can do it by themselves. M-M: You’ve talked some about how electric cars could be charged using smart grid technology and the effect powering lots of electric cars would have on peak load. Could you elaborate? PC: We have enough capacity in the system — enough transmission lines and generators — to serve up to 73 percent of light-duty transportation with existing capacity. But you’ve still got to create the energy. You’re shifting that load to times when it’s already underutilized. Your generators are spooled down at night and those transmission lines don’t have a lot of capacity. Basically, you’re flattening out that load curve by putting all the transportation load during nonpeak time. But you still have to generate the electricity. That’s why some people still claim that you’re burning fossil fuels for electric cars. Of course, what we’re hoping to do is generate that with excess wind power. I tend to be pretty bullish on electric cars. I think people are going to realize their operating cost is very, very low compared to gasoline. … I love that picture on the website of the Nissan Leaf where they show the back of the car — simply because it’s obvious there’s no tail pipe. How cool is that? You could drive it in your living room, right? Just from a distribution standpoint, if you live in a neighborhood with a typical pole-top transformer or a green box that feeds five to 10 houses, what happens if all five people on a pole-top transformer decide to buy electric cars at the same time? Especially now before all these demand response and intelligent charging technologies are deployed. You’re going to blow up that transformer. If [electric cars] catch on quickly, utilities will have to scramble to keep up with them purely from a distributional and wire standpoint. If that’s our problem, we’re doing pretty well. As I said at the conference, the lab’s mission statement from DOE is to reduce our dependence on foreign oil. If our only problem is we’ve got to build more distribution circuits because of all the electric cars we’re going to use, that’s a problem I’m looking forward to.